Sometimes my travels coincide with events and exhibitions that I would love to see. However this year I will be missing both Carsten Höller: Decision and Gustav Metzger: Towards auto-destructive art 1950-62 at Tate Britain from May 11th. Luckily this weekend before I head south to New Zealand for the winter I will be able to catch Lee Ufan at the Lisson Gallery so one out of three is not bad. Both artist for me operate on the fringes whilst also are at the centre of what is current. They both continue to push boundaries within their practice and inspire thoughts within mine. Hopefully I will get to see these exhibitions elsewhere in the near future. Carsten Höller: Decision is the artist’s largest survey show in the UK to date. The exhibition, which sprawls across Hayward Gallery and erupts beyond its roof and walls, explores perception and decision making. Confronting visitors with a series of choices, it features mirrors, disconcerting doubles and mysterious objects which together create an impression of a world where nothing is quite as it seems. Born in Belgium to German parents, Höller trained as a scientist – gaining an advanced degree in agricultural entomology – before becoming an artist. 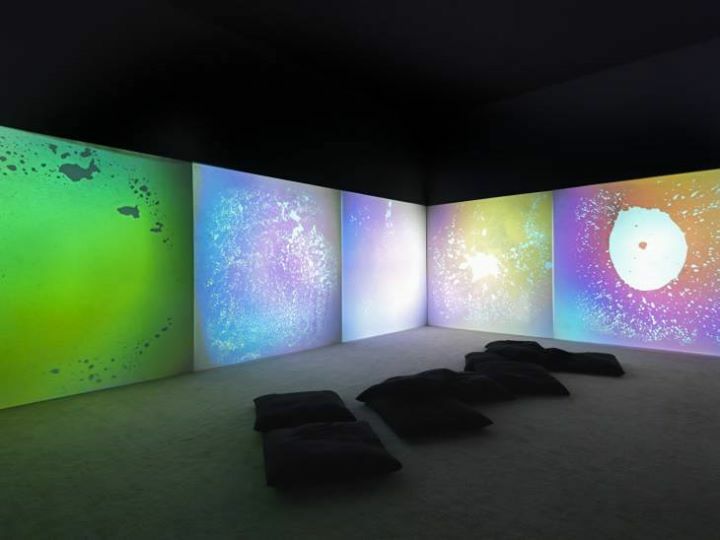 Over the past 20 years Höller has created experiential installations, participatory artworks and immersive environments. These often feature disorientating architecture and perception-altering devices, which Holler refers to as ‘artificial limbs for parts of your body that you don’t even know you’ve lost’. Believing that ‘people are often more powerful than artworks’, Holler sees his work as ‘incomplete’ without visitor interaction. Under Höller, Hayward Gallery is transformed into a platform – part laboratory, part playground – dedicated solely to human experience. Carsten Höller lives and works in Stockholm. His 2006 installation Test Site saw the artist install a series of giant slides in the Tate Modern’s Turbine Hall. His solo shows include Experience at the New Museum, New York (2011), Carrousel at the Kunsthaus Bregenz, Austria (2008) and Half Fiction at the Institute of Contemporary Art, Boston (2003).